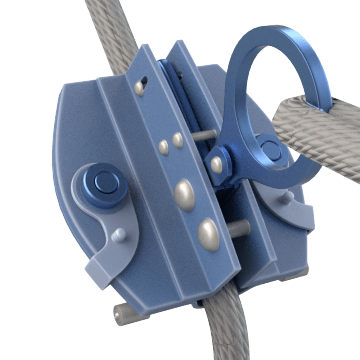 Connect rope and cable grabs to your body harness and attach them to vertical or horizontal lifelines to stop falls. These devices let the worker move freely when not falling but automatically lock onto the rope and stop momentum when a fall is detected. 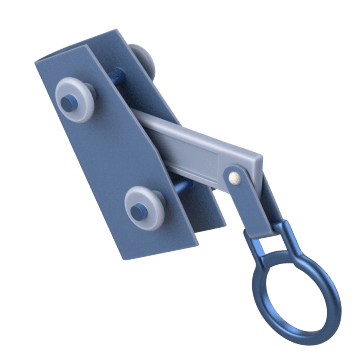 Also known as trailing, these grabs can move freely along the lifeline as the worker changes position but will automatically lock in place to prevent movement as soon as a fall is detected, similar to a self-retracting lifeline or seatbelt. 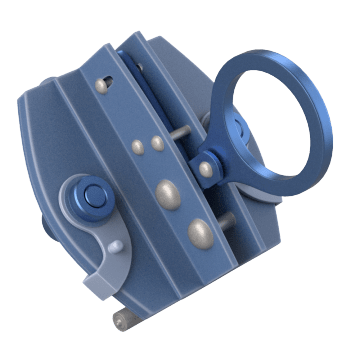 Press these grabs to let them move along the lifeline as you change position. When not pressed, they grip the rope to prevent movement.